1150 Floorplan! 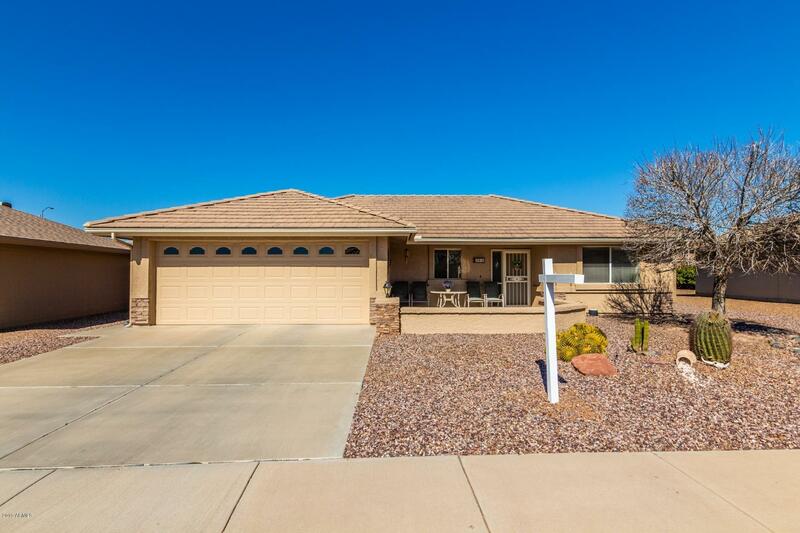 2 bedroom / 2 bath home with 1165 SF of living space! Kitchen has plenty of storage and overlooks the open great room. The master and 2nd bedroom are split and are perfectly sized. The second bedroom is perfect for the visiting guest or would make a great office. The covered back patio overlooks the beautiful backyard that showcases citrus trees and desert landscaping-an ideal setting for relaxing or entertaining! Look no further!